Picture yourself in the middle of a vast green field, on the perimeter of a sacred circle. The throbbing pulse of tribal music fills the air with an insistent beat, until you feel its rhythm coursing through your veins. Voices rise and fall in polyphonic harmony, with a power and passion that seems almost otherworldly. Dancers prance and twirl in time, their costumes a whirling technicolor dream. Red-shouldered hawks circle above in an equally mesmerizing aerial waltz. We are here to celebrate Mother’s Day, and Mother Earth, and the beauty of all Creation. 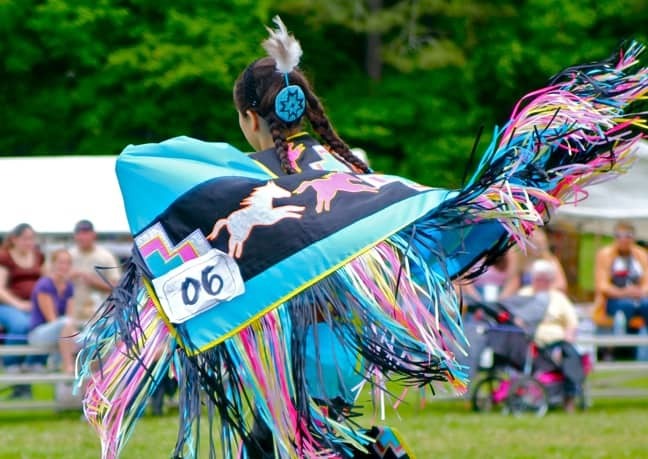 This is the Cherokee County Indian Festival, our favorite Georgia Pow Wow. My interest in indigenous cultures can be traced back to my early 20s, long before I visited the Zulus of South Africa, the Kalinago of Dominica, the Bedouin of Jordan or the Polynesians of Tahiti. It all started with a World History course I took in college, which focused on Colonialism and the devastation it had on the planet’s traditional tribal societies. Around the same time, I decided to interview my beloved grandfather about our family history, which was when I first learned about my Scottish and American Indian ancestry. I started reading everything I could about these two seemingly disparate cultures. 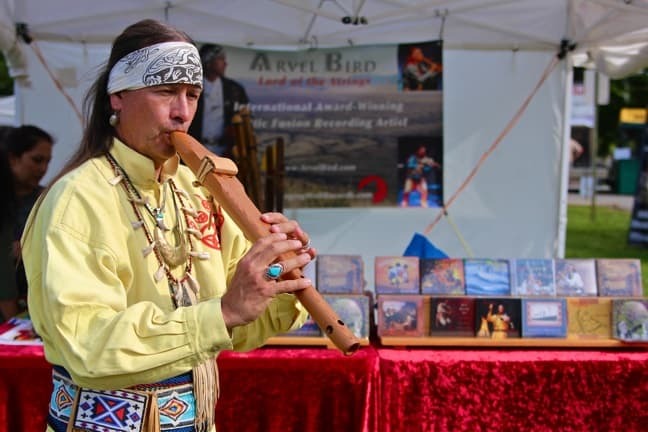 I learned– as Native American/Celtic crossover artist Arvel Bird pointed out during his performance at the pow wow yesterday– that they actually had a lot in common. Both Scottish and Native American societies were tribal in structure; used drums and flutes as primary musical instruments; had nature-based spiritual beliefs; and were oppressed for centuries by colonial imperialists. I did research papers on the lack of AmerIndian influence on modern American culture. And, perhaps most significantly, I began attending the Cherokee County Indian Festival, my first Georgia pow wow, every Mother’s Day weekend. It was here, more than 20 years ago, that I first fell in love with tribal culture– the art, the music, the rituals, the people, and the spiritual belief in Nature as a sacred thing we are bound by honor to protect. My grandfather spent most of his life in Texas and New Mexico, and he and my grandmother frequently traveled out West, so my budding interest in Native American culture brought us even closer together. I treasure the memories of taking them to the pow wow several times before they passed away. When I took Mary there for the first time in 2009, just two months after my grandmother died, I remember crying my eyes out as the drums pounded and the singers sang and the dancers danced. I looked to the heavens and knew they were there with me, watching over me, proud of me and my family and the new life we were building for ourselves. Due to our busy travel schedule, we hadn’t been to our favorite Georgia pow wow since 2010. But not much has changed. We could hear the thunderous drums echoing through the hills before we even parked the car. 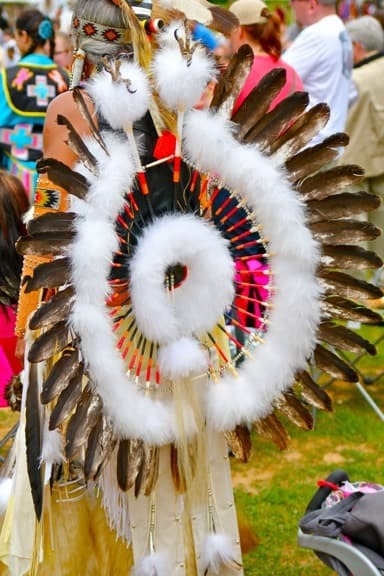 Dancers from various tribes dressed in elaborate costumes of every possible color– some more traditional and earth-toned, others almost neon in radiant brilliance, but all of them incorporating natural elements such as feathers, bones and fur. As we made our way past food vendors selling fried bread, Indian corn and bison burgers towards the sacred circle at the center of Canton’s Boling Park, we could hear the announcer calling for the Inter-tribal, in which everyone is welcomed to enter the circle and dance. 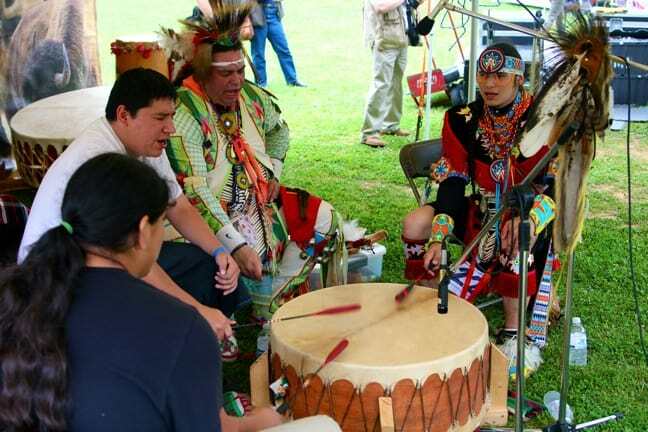 But, while music and dancing may take center stage, the Cherokee County Indian Festival offers a lot more than that. Festival organizer (and staunch wildlife advocate) Chipa Wolfe always brings some of his own animals, and this year featured 22-year-old Thunder The Buffalo and gorgeous Painted Pony Kid Kola. 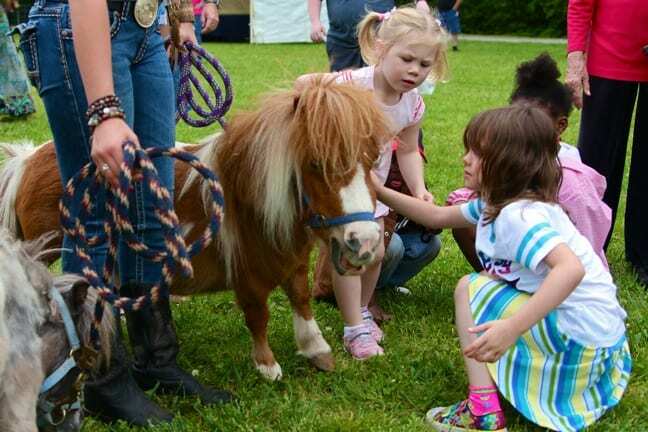 He also invited the non-profit equine rescue charity Save The Horses, whose adoptable dwarf mare Saucy drew quite a crowd of kids eager to pet her. 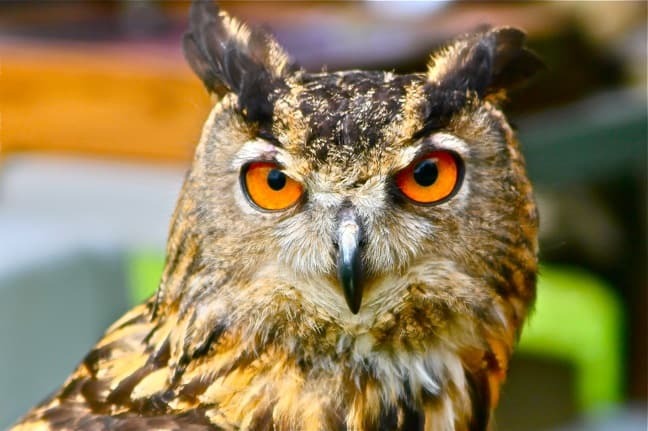 One of our favorite acts at the festival was the Winged Ambassadors Birds of Prey Show. The show is hosted by master falconer and ardent conservationist Dale Arrowood, who has been featured on Mutual of Omaha’s Wild Kingdom and worked with National Geographic. With an entertaining mixture of humor and educational information, Arrowood gives audiences an up-close introduction to majestic avians such as the Black Vulture, Great Horned Owl and Egyptian Falcon, the latter of which flew directly over our heads in an impressive exhibit of predatory attacks. 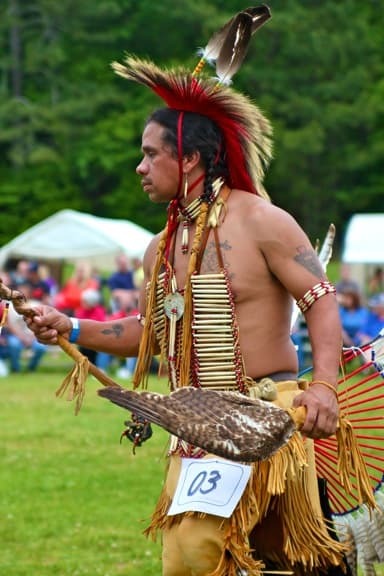 For those seeking to learn more about American Indian history, the festival offers a whole section on Primitive Skills demonstrations. Here, you can learn about everything from how Native Americans made arrowheads and other primitive tools to building campfires, skinning and tanning hides, weaving, and shooting a bow and arrow. 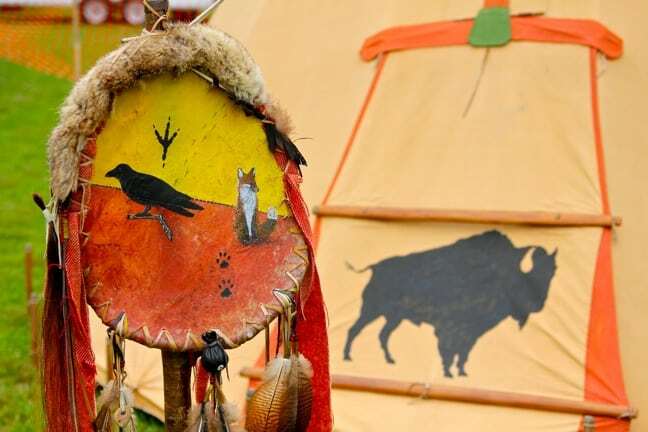 There are several examples of teepees, and experts on hand willing to talk about any topic of traditional Indian life you care to discuss. 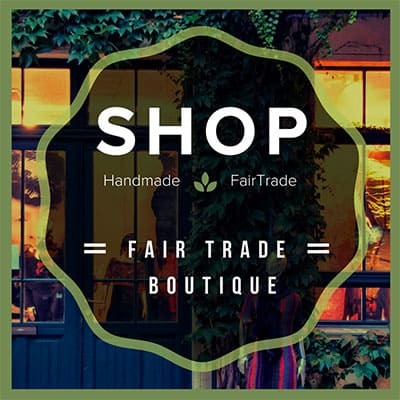 The festival features dozens of artists and craftsmen working in every possible medium you can imagine, from jewelry, leather, and pottery to gourd-carving and ancient weaponry. 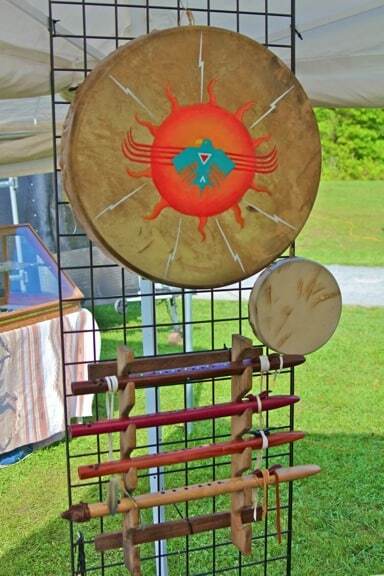 I was instantly drawn to the colorful drums and gorgeous wooden flutes of Mark Barfoot, a part-Onondaga, part-Cherokee artist whose work has appeared in the Smithsonian and Peter Buffet‘s musical Spirit: The 7th Fire. One of his red cedar flutes adorns the wall of our kitchen. 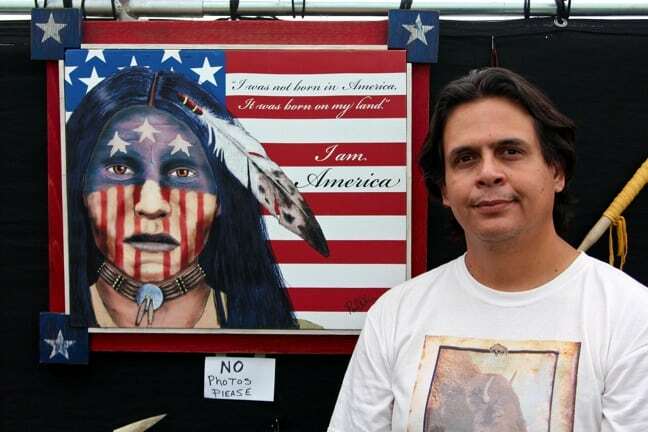 But the artist whose work resonated with me most powerfully was part-Apache Florida native Paul DeLuna: His painting of an Indian warrior in front of an American flag (which reads “I was not born in America. It was born on my land. I am America.”) is a striking reminder of the violent history of our nation, and the oppression of a proud people whose blood courses through my body. Though we’ve traveled all over the world and immersed ourselves in myriad different tribal cultures, coming back to this intimate north Georgia pow wow somehow feels like coming home. It seems somehow appropriate that this cultural celebration happens every Mother’s Day weekend, because it reminds us that Mother Nature has given birth to all of us– humans, animals, the grass, the sky, every living thing on the planet. Her air, earth, fire and water have nurtured us throughout our lives, and the fruits of her harvest have nourished us at every stage of our growth.